I am so glad you are here ... Welcome! Then I discovered the low Fodmap diet and my life was transformed. I am your IBS Liberator. 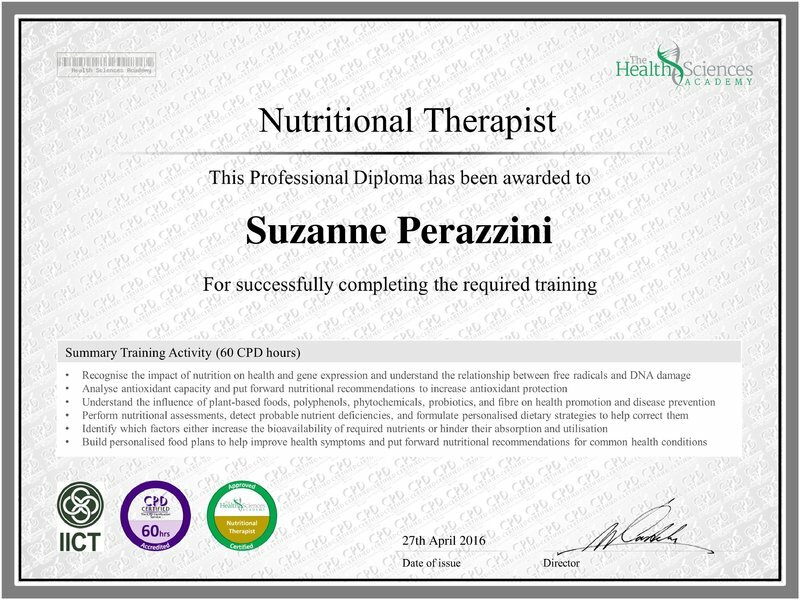 I am a certified nutritional therapist specializing in IBS and the low Fodmap diet (certified by the Monash University on the low Fodmap diet), qualified teacher, award-winning author and fulltime low Fodmap diet coach. My website, Strands of My Life features low Fodmap recipes, videos and articles on IBS and the diet. I have been featured on numerous podcasts, I have articles on several large health websites and have had many of my recipes published in hard copy magazines. I have suffered from IBS all my life and after having my life transformed by the low Fodmap diet I now dedicate my days to coaching others on how to eliminate their IBS symptoms once and for all. I am fortunate enough to see people’s lives revolutionized every day through my coaching work and I want to get this message and solution out to the whole world. It drives me crazy that there are so many who don’t know there is an answer to all this suffering. My greatest moments have been turning a 3-year-old Indian girl from a child curled up in the corner in pain to a happy child playing out in the yard with her friends, and helping an 83-year-old woman, who had suffered horribly all her life, discover that there is peace on earth after all. I would love you to become another of my success stories. I live in New Zealand with my Italian husband in a delightful character cottage overlooking the water. I work full time as a low Fodmap coach. I love my job and I am passionate about helping those with IBS get relief from their debilitating symptoms. I get great pleasure from the transformations I see every day. My 6-week program will show you how to integrate the low Fodmap diet into your life and to develop a balanced lifestyle to support your IBS. If you are interested in learning more, CLICK HERE to read how this will happen. Or CLICK HERE to go directly to the application form. 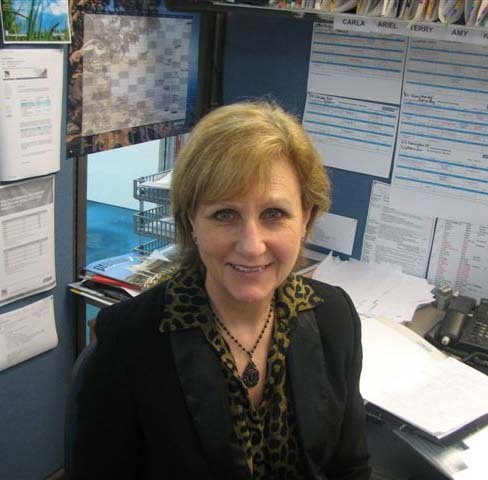 *Suzanne was a fantastic resource and source of support for me during the process, cheering me on! I recommend the program highly, so if you’re thinking about it, just do it! *After 6 weeks I feel like I have all the weapons I need to tackle my digestive problems for the rest of my life! Suzanne’s knowledge on how to incorporate this diet into your life is invaluable and I couldn’t have done it without her. See many more testimonials HERE. I have suffered from digestive issues all my life. I can’t tell you when I realised that not everyone suffered when they ate, but I learned early on that one didn’t talk about what happened inside the body. It wasn’t until I went to live in Italy at 23 that I found a nation who thrived on conversations involving the condition of one’s internal organs. But it is difficult to change more than two decades of conditioning and, even though I lived there for 9 years, I never contributed anything of interest to these intimate discussions. I suffered in silence. 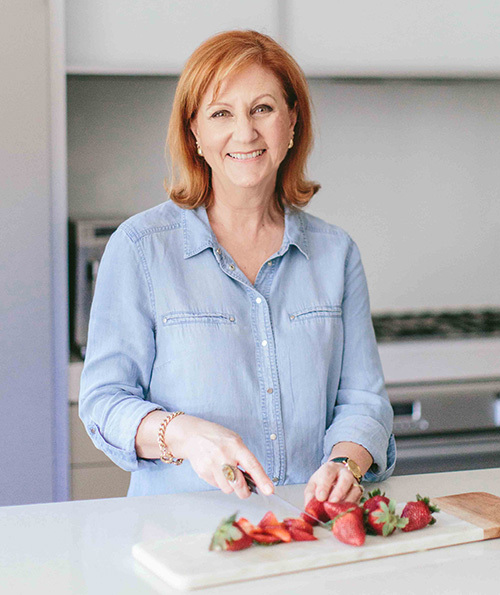 Through the years, I approached numerous doctors with my symptoms only to be told that I had irritable bowel syndrome and to eat more fibre, whole grains, fruit and vegetables. Each time I diligently went away and obeyed their instructions and felt worse than ever. They say that the definition of insanity is doing the same thing over and over and expecting a different result. I guess I was insane. For years! Several years ago, I started this blog as a way of exploring food and the effect it had on me. At first, I cooked mainly fast, healthy, real food dinners since I worked full time and had little energy in the evening to cook complicated meals for the family. I joined a few groups of bloggers who were focused on eating and living in a healthy way and discovered the different eating regimes they were following which helped their health issues. I tried the well-documented Paleo diet for several months and ultimately it made me worse. I lost energy and my digestive issues got worse. This is not a testimonial against the Paleo diet. It helps many people – I was just not one of them. So I Googled the heck out of my symptoms for the zillionth time and the low FODMAP diet came onto my radar and I realised I had seen it mentioned before but had glossed over it. I found an article that described the symptoms of someone who was intolerant to FODMAPs and a light bulb went on. This person was describing me, right down to how ‘healthy’ food made me worse. I investigated further and fructose malabsorption was mentioned. I knew almost immediately that I had hit the bullseye. The puzzle pieces were falling into place. So, began a time of intensive research and experimentation – because this was before there was very much about it out there – but I knew I was onto something and I can be stubborn when I get my teeth into something so I persevered through all the hiccups and disappointments while I figured it all out. My life has been completely revolutionized by this diet and other lifestyle changes I have made. 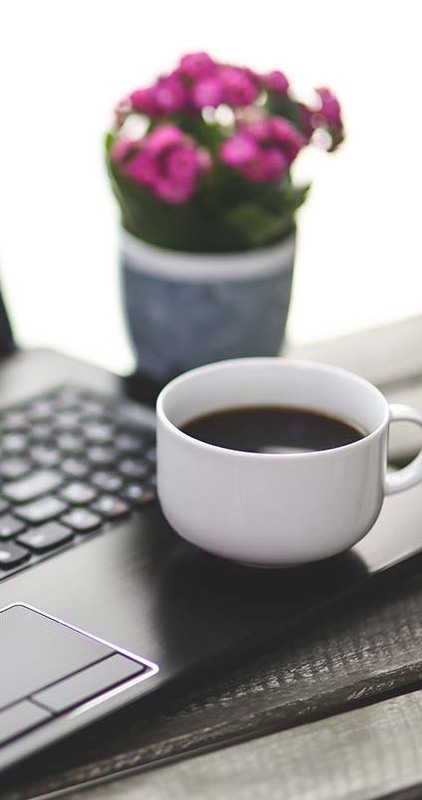 I used to sit in a crappy office with a cranky boss giving me headaches while trying to minimize my visits to the toilet – because that’s frowned upon – productivity is the name of the game in a corporate office. Now that I am out of that, I can say I was a mess, barely hanging on by my back teeth. So, I eventually sorted my health, and because I was finally getting the nutrients from the food I was eating, instead of them passing down undigested into the bowel where they caused havoc, energy flowed back into my body and my brain and I made the infinitely sensible decision to get the hell out of that office. I now work from home as an online coach teaching people how to implement this fabulous, but complicated low Fodmap diet, and how to make the necessary lifestyle changes to support their IBS. I help people every day to become well and I work with people from all over the world. I’ve had clients in India, China, Belgium, Colombia, Serbia, Mexico, Japan, Ecuador, Switzerland, Germany, Greece, Spain, Norway, France, Finland, Luxembourg, Canada, Australia, New Zealand and of course many, many clients from the US and the UK. I now live life on my own terms and all because of a little thing called the low Fodmap diet which finally lifted an impossibly heavy burden from my life – IBS. He is Italian. Not the romantic, pinch-your-bottom kind. This one is solid and so-not-romantic but he’s worth keeping because he has learned to throw a few ingredients together to make something decent to eat and he does so on the weekends. This might sound not too way out there but it is for an Italian man. They love food and can talk forever about it but they don’t cook it. They will kill it for you and drag it home all bloody but then you have to take over and transform it into something that looks as far from a cute animal as possible. Anyway, besides cooking occasionally, during the week hubby staves off the mental collapses of the Auckland population by fixing people’s computers but the main thing he does in any spare hour of his life is jump on a mountain bike and try to kill himself by throwing himself into a tree or down a ravine. I swear to you, he comes home with more injuries than a stuntman – bruises and blood oozing from all limbs. He even strained a muscle in his chest last week while falling into a tree. I didn’t even know you could strain a muscle in your chest. What can you do with your chest to strain a muscle? He is twenty-seven and has a Bachelor of Architecture and two-year diploma in photography after being homeschooled by moi for most of his life. However, he still communicates with me in grunts, that is unless he wants something and then he comes over all eloquent, and full-bodied persuasion flows from his lips. Every excuse I give to the negative of whatever is the latest need is met with a desperate desire on his part for a logical explanation from me. He pounces these erudite moments upon me when I have just finished a day’s work, have ridden my go-nowhere bicycle for half-an-hour and have collapsed shaking onto my seat in front of the computer to check my emails before leaping up again to prepare dinner. I am at my lowest ebb and he knows it. So the argument goes around and around with him insisting on logic. See if you can be logical when your blood sugar is plummeting from over-exertion – not doable. These conversations often end with me getting a tad testy and then he thinks I am unmanageable. UPDATE: Dario now runs his own online business and has recently returned from travelling the world on a motorbike. CLICK HERE to read about my Low Fodmap Menus cookbook. CLICK HERE to learn about my Low Fodmap coaching programs.